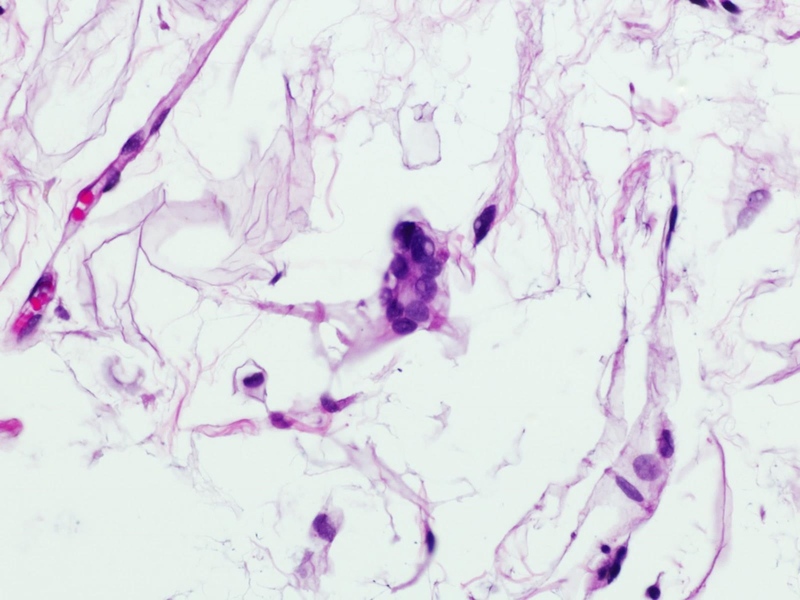 Thanks to Dr. Ivy John, University of Pittsburgh Medical Center, for contributing this case and discussion, and to Dr. Belinda Lategan, St. Boniface Hospital (Winnipeg, Manitoba, Canada) and Dr. Lauren Stuart, Treasure Coast Pathology (Stuart, Florida) for editing the discussion. To contribute a Case of the Week, first make sure that we are currently accepting cases and follow the guidelines on our main Case of the Week page. (2) We have a number of new management articles that have been posted on our Management page in the past month. These articles, written by Vachette Pathology, include, "Republicans Weighing AHCA Amendment", "Looking For A Registry To Assist With 2017 MIPS? Check Out The Full CMS List", and "Check Your MIPS Status Online With New CMS Tool." (3) New CME courses offered by ARUP Laboratories Institute for Learning were posted last month. And, we recently posted info about another free webinar sponsored by Roche: FDA reclassification of Rapid Antigen flu testing and why it's an opportunity for lab leadership. An elderly man presented with a 1.5 cm "orbital" mass, which was excised. A. SHOF is associated with MDM2 amplification. B. Floret-like giant cells with nuclear hyperchromasia and pleomorphism are typically seen in SHOF. C. The nuclei of Lochkern cells and floret-like giant cells in SHOF are highlighted by CD34 immunohistochemistry. D. SHOF has an aggressive course and the management includes radiation therapy. Subconjunctival herniated orbital fat (SHOF), a rare entity, typically presents in elderly males as a small (up to 2.5 cm) yellow, compressible, painless mass in the superotemporal quadrant of the eye (Am J Surg Pathol 2007 Feb;31:193). It occurs as a result of forward movement of intraconal fat due to attenuation of the tenon capsule precipitated by aging, disease, injury and surgery. A possible association with thyroid associated orbitopathy has also been described (Clin Interv Aging 2017;12:359). As shown above, they are composed of lobules of uniformly shaped mature adipocytes separated by a delicate fibrovascular septae with scattered Lochkern cells (adipocytes with enlarged nuclei containing intranuclear vacuoles) and floret-like giant cells (multinucleated giant cells with a wreath like arrangement of bland, uniform, often vacuolated nuclei). They are typically associated with scattered inflammatory cells including lymphocytes, plasma cells, histiocytes and mast cells. Although not necessary for diagnosis, the nuclei of Lochkern cells and floret-like giant cells are highlighted by CD34 immunohistochemistry. Lochkern cells are positive for S100 protein but floret cells are not (Am J Surg Pathol 2007 Feb;31:193). Due to its rarity, and somewhat non-specific findings, these lesions may mimic adipocytic neoplasms both clinically and histologically. 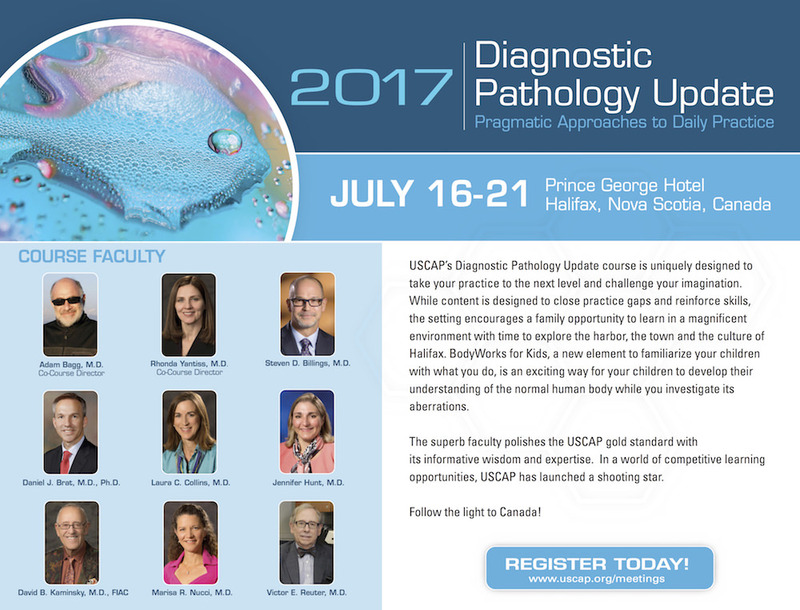 The principal differential diagnosis for SHOF includes pleomorphic lipoma (PL) and atypical lipomatous tumor (ALT). 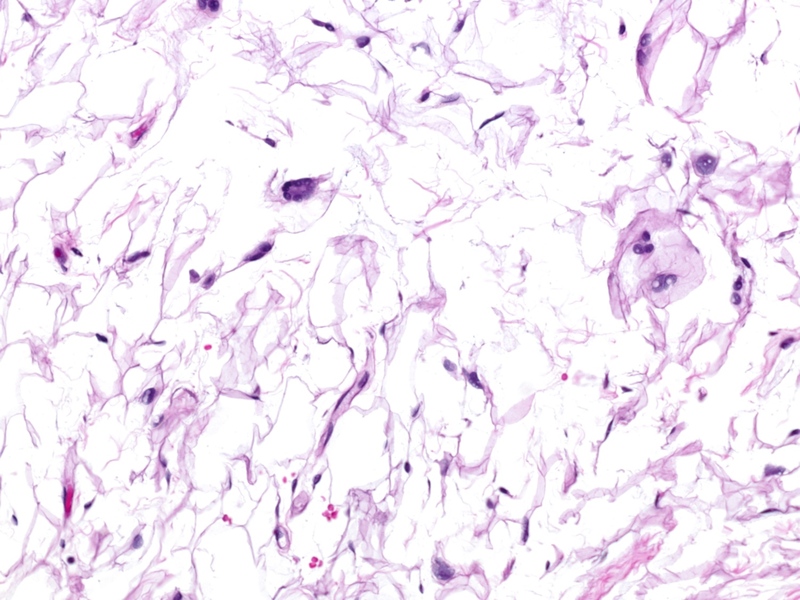 Most PL will show areas typical of spindle cell lipoma, including a triad of myxoid stroma, abundant wirelike collagen and bland spindle cells in addition to floret-like giant cells. However, the nuclei of the floret-like giant cells in PL tend to be enlarged and hyperchromatic in contrast to the bland and uniform, often vacuolated nuclei associated with SHOF. 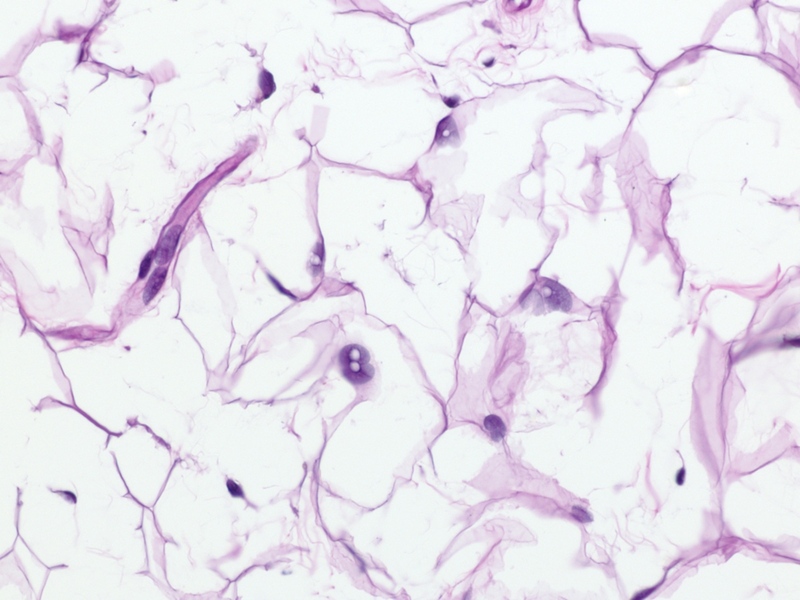 Though ALT may rarely involve the orbit (Ann Diagn Pathol 2001;5:255), it is characterized by the presence of nuclear atypia either in the adipocytes or within the stromal cells of the fibrous septae, findings that are notably absent in SHOF. Additionally, cytogenetic alterations characteristically seen in ALT are absent in SHOF. Subconjunctival herniated orbital fat is treated with simple surgical excision and is generally not associated with recurrences.